Pakistan's Ministry Of Interior launched a electronic service website last week, which will help in renewing passports online for overseas Pakistani nationals with in 4 to 10 days. 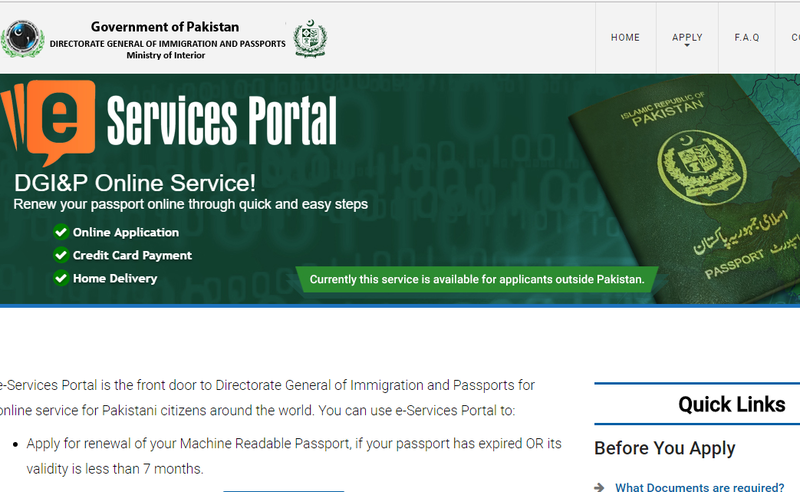 - Copy of Passport and copy of National Identity Card. - Fingerprint form, Valid Credit card or debit card to pay application fee online. - Copy of Parents National Id Cards, Attestation form of Minors, Copy of Computerized B-Form. - In case of no parents, Death certificate of parents and Guardianship certificate.